After an incredible meal, I ran into Vizion Jones, tour manager, outside of Båco Mercat in Downtown Los Angeles. 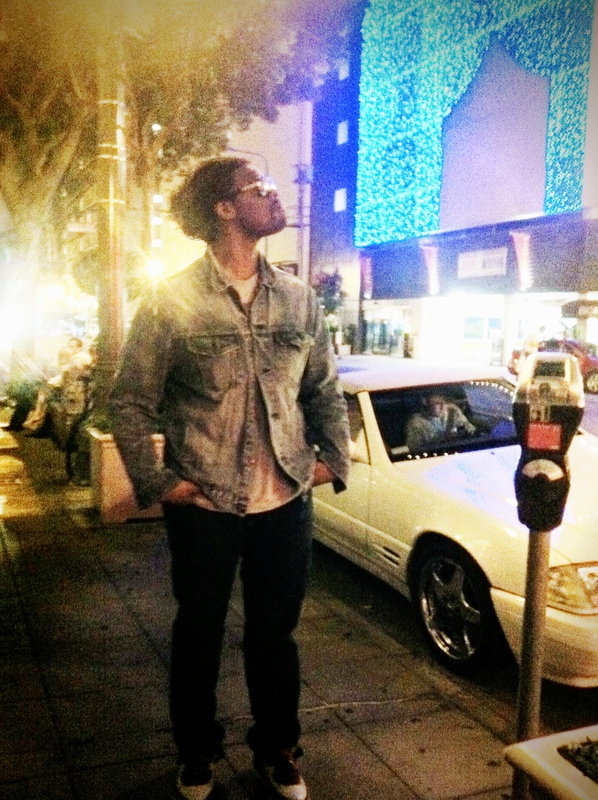 Vizion was looking dapper in Rag & Bone jeans and a Levi’s jacket. This entry was posted on Wednesday, October 10th, 2012 at 4:14 pm	and tagged with Båco Mercat, Canadian Tuxedo, Denim, Denim on Denim, double denim, DTLA, Fashion, Los Angeles, Rag & Bone, Vintage, Vizion Jones and posted in In The Wild. You can follow any responses to this entry through the RSS 2.0 feed.